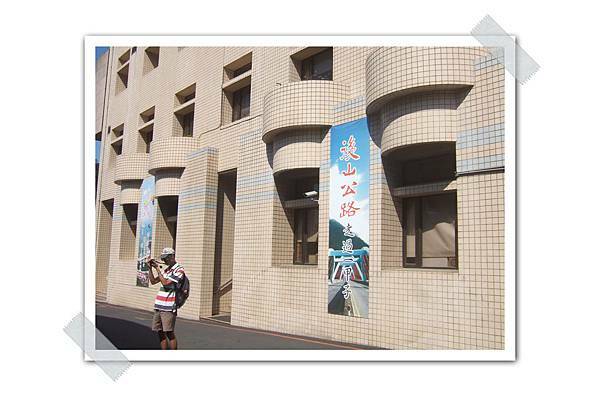 The year of 2009 was the 60th anniversary of the foundation of the fourth Highway Construction Office. 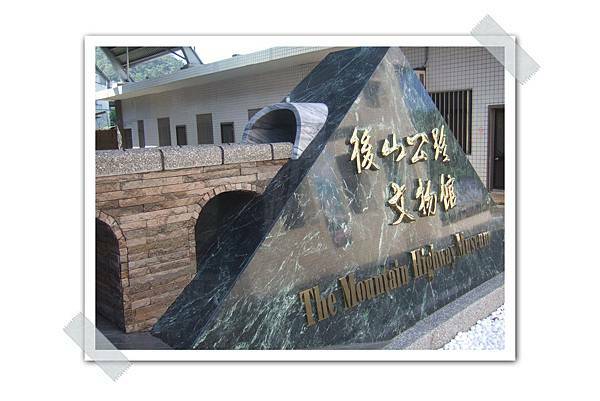 In order to commemorate this office’s valuable development history, the book of “Back Mountain Highway Construction in Six Decades” was published. A monument inscribed with the Chinese characters of “Devotion to Highway Construction” was also set up. At the same time, we started to collect and organize all of historical documents recorded the past, which was our first step toward the establishment of the hall. Currently, the exhibition features ten distinct themes, displaying historical documents, old pictures, gears and equipments, tunnel construction models, bridge building records, etc. The setting intends to take visitors to travel through the time from the past, present to the future. Outside the hall, there are a piece of Chinese calligraphy, copied from the work of Mr. Yu Youjen, in the Chinese characters of “Praise of Cross Island Highway” and a creation of “Plaza Canopy”. The latter is ingeniously completed by recycled steels used to be scaffolding during the tunnel construction process. 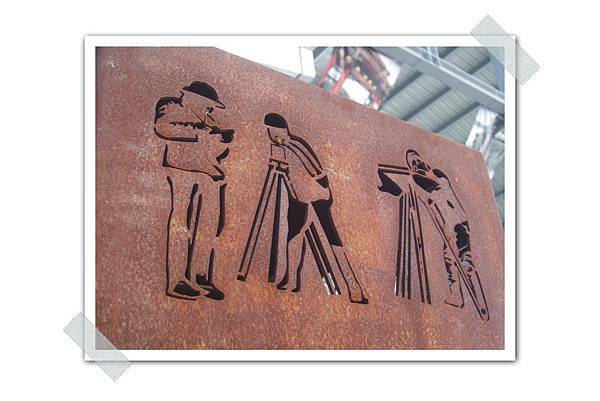 What is more, the public art at the entrance is done based on a collective idea of all colleagues, representing the three main components of highway construction, the road, the bridge and the tunnel.